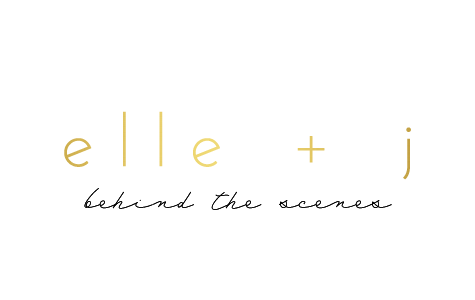 elle + j: Thoughts on Thursday: We're having TWINS! 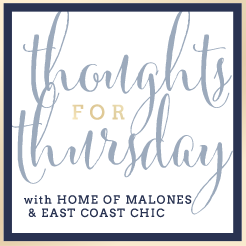 Thoughts on Thursday: We're having TWINS! Yes its true and we are thrilled! We are having TWINS! Due Date: August 8, but they won't let me go past 38 weeks and that date is July 25! Gender: Lucky lucky us- one of each! Were we surprised? Yes...and no. We knew we had an increased chance of having twins, it was not 100% or even 50% so we didn't think it was a definite but we were okay with the idea. So when we found out it definitely was twins, we weren't 100% shocked, but we were 100% excited! Do twins run in your family? I know many people ask this question to find out if the person had fertility treatments. Soooo...no twins don't run my family. And yes, we did IVF. I don't mind sharing it, but I do find it crazy how many people have flat out asked me if I conceived the twins naturally. When did we find out? We found out on December 1! How have I been feeling? Terrible. Excited and happy to be pregnant. But physically terrible...I've had every single side effect. Nausea, vomiting, headaches, dizziness, tiredness, etc. Serious food aversions that make it hard to eat, but if I go too long without food I feel worse. Do you have names picked out? Yes and no. We have a girl name...that I love and Dave is growing to love! We can't decide on a boy name just yet, but do have some favorites. How does Dave feel about it? Dave is beside himself with joy! Seriously. He wanted triplets... EEK! He has been amazing and so supportive with all of my symptoms and hormones. I am incredibly lucky and thankful for him! Thank you all so so much for the well wishes! We are so happy and excited! And if you are someone who is still trying to conceive, my thoughts are with you. I know it is so tough to hear someone is pregnant when you've been trying. We tried for years to get here, so I understand. Wonderful news! Congratulations!! Stopping by from the link up! Congratulations!! One of each is perfect! I have so many good friends who have gone through IVF and I'm so happy it worked out for you. :) I have a friend who got pregnant with twins naturally and everyone was like oh IVF twins and she was like actually no natural twins and they were shocked, she doesn't even have twins in the family. Just a crazy twist of fate. Saw your comment on my post earlier- boy clothes are so hard, if you need any advice let me know. Your best bet is to search online, in store selections for boys are awful. Aww yay!! Congratulations! I had a tough pregnancy (physically) as well - hang in there mama! EEK! EKK! EEK! So exciting, lady! Stopping by form the linkup and just beamed when I saw your post. Congrats. yay!! so excited for you! this is amazing- congrats!